When I attended the Lush Spa event (post here) at the end of my facial I was asked to choose between some flavours, without being told what they were actually for. After I'd made my selections I discovered this was for one of their scrubs and one of their lip balms for the final part of my facial. I did actually have a Popcorn lip scrub but I kind of forgot about it and when I got it out it was past its date and had dried up. So I recently decided to treat myself to a new one ready for winter. What could be better than edible skincare? Well that's what Lush lip scrubs are. They're made of just a few ingredients, with the main one being caster sugar, and all the ingredients are edible. The idea is you dip your finger in (yeah, I know it's not the most hygienic) and grab a small amount of scrub before then gently rubbing this onto your lips. You might want to hold your other hand under your chin as you will end up with a few sugar crystals dropping off your lips. You then just lick it off, although it's likely you might have to brush a few last bits of sugar off with your hand. Finally follow with a lip balm. The best time to do this is before bed before applying a thick lip balm, but you can also do it before applying lipstick if your lips are a bit flaky. This is available in three flavours, Mint Julips, Bubblegum and Popcorn, plus there is currently a limited edition flavour for Christmas called Santa's lip scrub, which I believe tastes like fizzy cola bottles. Bubblegum and Popcorn smell like their names suggest (with Popcorn being of the salty variety) and Mint Julips to me smells just like After dinner mints, like peppermint in chocolate. 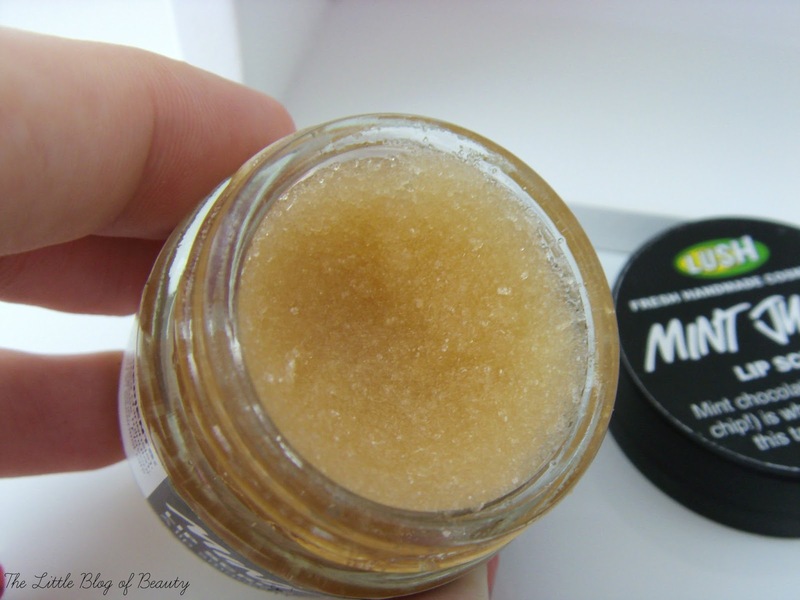 The lip scrubs are £5.50 each which I think is pretty reasonable and they have a shelf life of 14 months, so there's plenty of time to get through the pot. I suffer with naturally dry lips that can get really sore and flaky once the cold weather sets in, but I refuse to let that get in the way of me being able to to wear lipstick in the winter. So I'll be using this each night with a heavy duty lip balm. 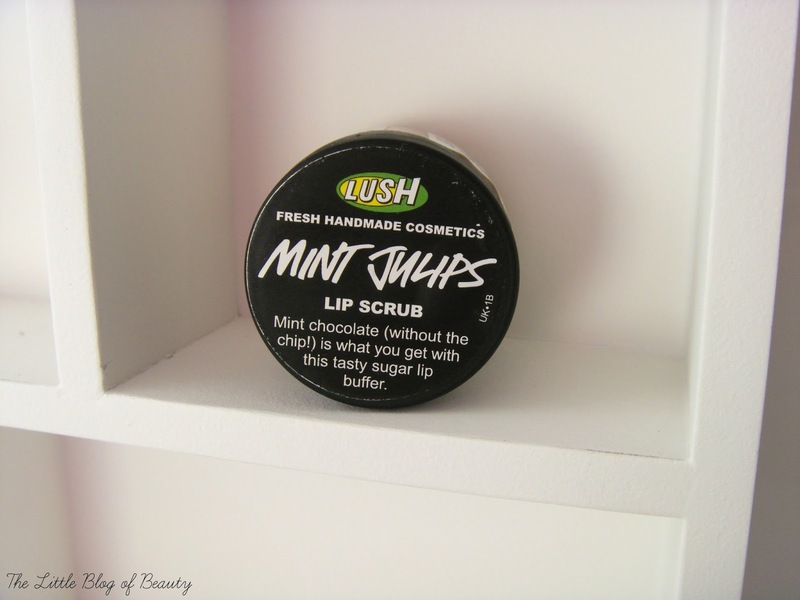 Have you tried any of Lush's lip scrubs? I remember using one of these when it first came out, but haven't taken the plunge since - I think you've convinced me to again! I have the Bubblegum scrub & love it :) I really want to try the Christmas release it sounds lovely.